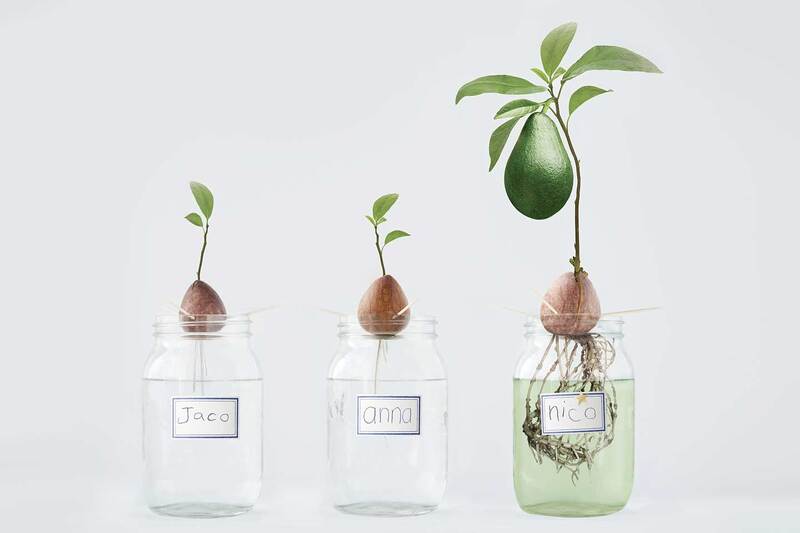 Nursery trials conducted in Chile and Mexico, with Kelpak application on avocado, showed improved young tree growth. 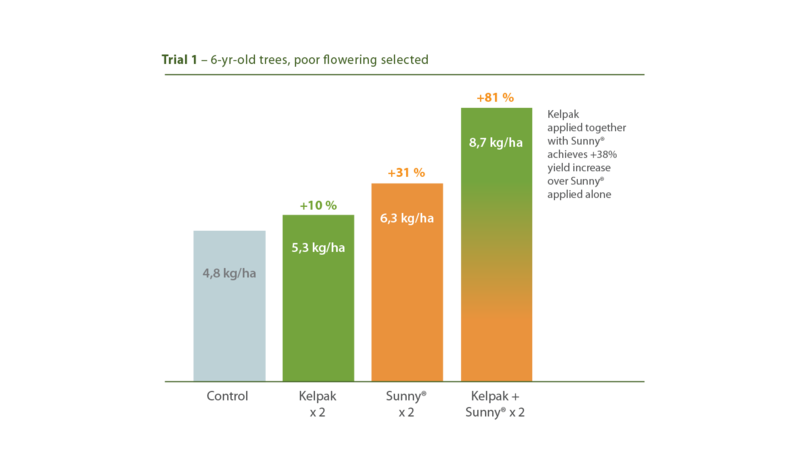 Field trials in Chile, with Kelpak application on bearing trees when compared to the control, showed significant yield improvement on both poor and strong flowering trees. 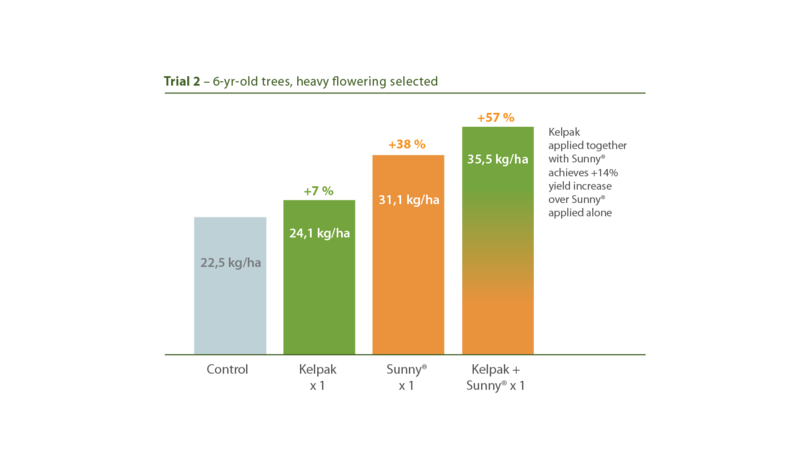 Kelpak used in a tank-mix with Sunny®, also improved yields above applications where Sunny® was applied alone. 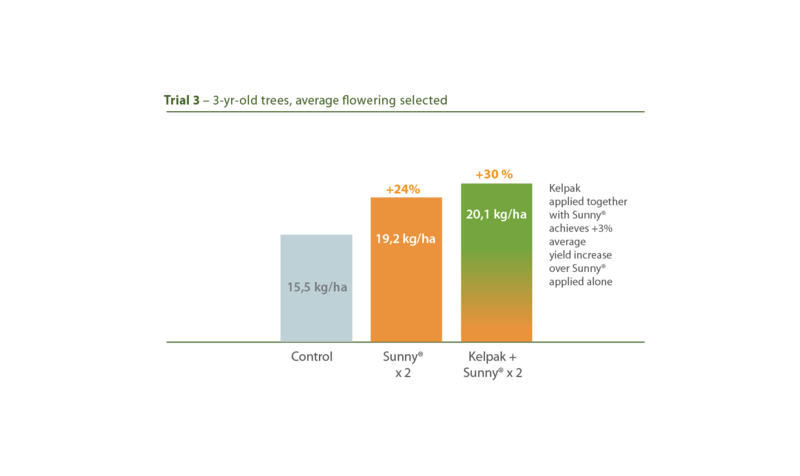 A comparison of treatments with and without Kelpak showed an average yield increase of 12% over all trials. 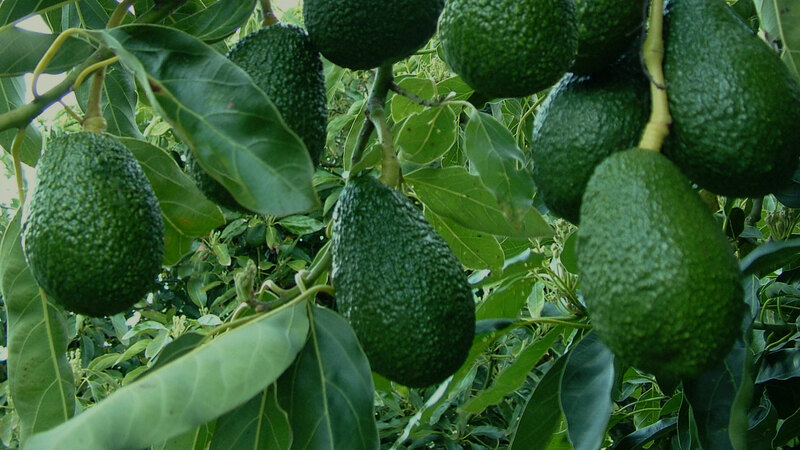 Improved fruiting (more fruit per tree), better fruit shape improved quality and ultimately higher yields were observed in these trials.